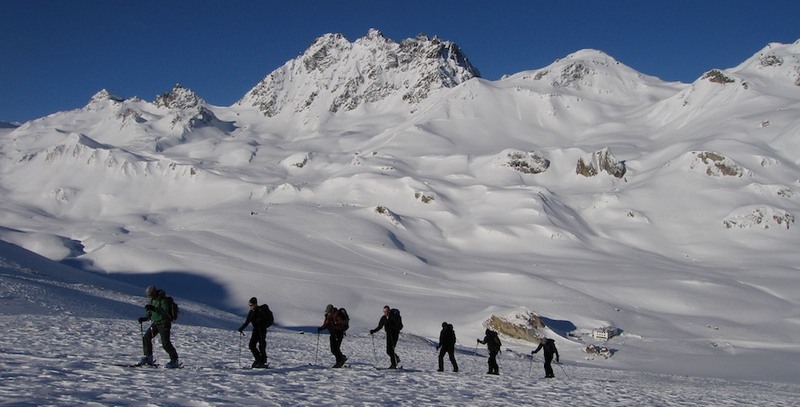 One major factor which will add to your enjoyment of ski touring is a light pack. If you can keep the kit to a minimum and ensure that everything you have is light, then the uphill will be easier and you’ll have more energy left for the downhill. If you’re snowboarding then you’ll need some telescopic poles plus either a split board or some snowshoes instead of skis. But you knew that, didn’t you? Skis and bindings Your preferred ski with a touring binding I ski tour on Blizzard Zero G 108's. They're not for everyone, being wide and stiff. Pack 35-50 litres, with straps for carrying skis The size of your pack is going to be determined by the size of your kit. Please bear in mind that you will be asked to carry some group kit such as repair kits, a group shelter, a rope or a spare layer. This will probably take another 2 or 3 liters so you will need to have some margin. On hot days you'll also need space for your warm clothing in the pack. I prefer packs with a zip off back to access stuff that's low down quickly and easily. 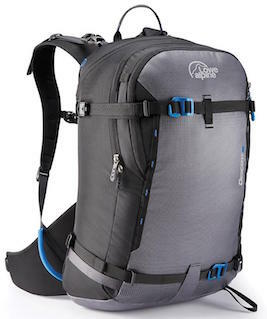 I also like packs that carry skis diagonally across the back rather than A framing. 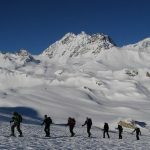 I have had a connection with Lowe Alpine for many years and was asked for design specifications for a ski touring pack. 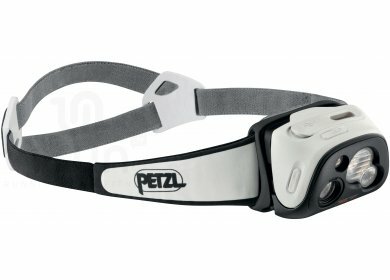 The resulting product is the Descent 35 which I use for much of my ski touring work. Helmet (optional) The decision to wear a helmet is a personal one Helmets are becoming more and more popular. I personally don't use one for skiing, but equally you are very welcome to wear one if you so wish. Shell pants For ski touring, a good shell pant with side zips for uphill effort I use Patagonia Untracked Goretex pants. I'm on my second pair and the Patagonoa repair policy has done me proud several times on both pairs. Water bottle/flask "How much water do I need?". If I had a £ for every time... I carry an insulated 1 liter Nalgene bottle. Phone charger Share with your mates? Pack towel (optional) Some huts have showers these days.